How can I keep updated on Earth Fair news? You can connect with us on Twitter @earthfair_nv or on Facebook at NV Earth Fair. See info & links below. Please FOLLOW US and SHARE! 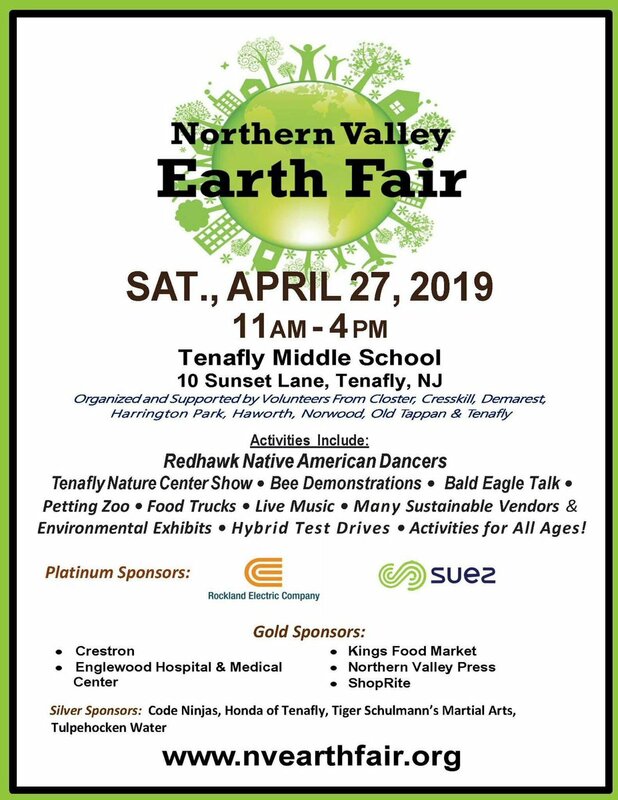 You also can find the Northern Valley Earth Fair on Burbio.com and FunNewJersey.com! Happy Earth Day 2019! Come celebrate with us in Tenafly, NJ this Saturday 4/27 from 11 AM to 4 PM. @DemarestNature Thanks for the tweet @DemarestNature we look forward to having you at our event yet again! !